After the starting point of updating up to Windows 10 many users of a new version of operating system had the questions of order of repeat system activation, for example, in the case of the reeinstallation. As it turned out, Microsoft simplified her a little. 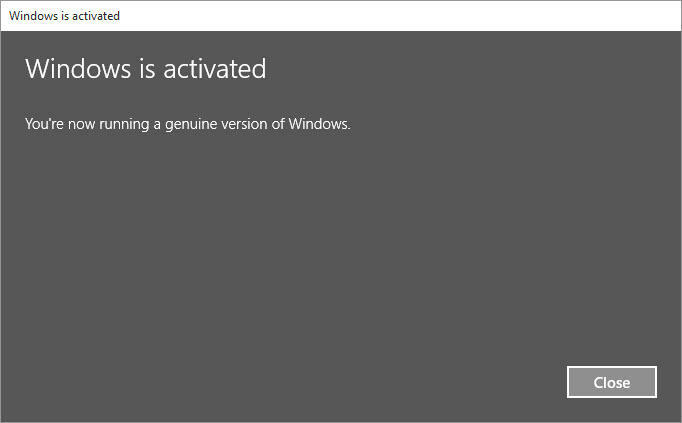 Windows 10 mechanisms changed: at updating with Windows 7 and 8.1 program of the installation Windows 10 verifies a current status of activation, informs result to activation server and, if your system admits legal, that generates a licence certificate Windows 10 and preserves him together with unique identifier of the computer, as well as information of editing of your system (Home or Professional). That is, in a new mechanism the product key is not used at all, and at repeat installation of the system on that computer it is not necessary to enter him. In such a manner, after updating and activation Windows 10, you can format boldly disk and to reinstall system, as you wish. At the first launch activation will pass automatically. It is possible to pass enter of the key in installer operating system from the times Windows 8.1. To the word, if you more trust a pure installation and do not want to be updated at first up to “tens”, and then to reinstall fair, simply launch installation from under the previous system version and decline preservation of files, annexes and adjustments. Activation will pass just as it is above-stated. If you acquired distribution kit Windows 10, you install him to new computer or working under the control of “pirate”, that is, there are no data of your copy of the system on activation servers, product key you will have to enter only once, at the first activation. Then at repeat installation activation will be conducted as well automatically. Many troubles the question of tie-in of activation to the computer, creation of that the most unique identifier of the computer which can bring to nothing opportunity of further upgrades. Microsoft does not open the secret of generation of the identifier, but usually he is tied to parent payment. That is, main storage, videocard , hard disk can be changed quietly, and here new system payment by activation servers will be considered for new PC. If in your case activation flied at replacement of other furnishing, try to address to telephone hot line of activation Microsoft, most likely question will solved to your benefit.